When I started the journey to lose weight, I was between 300-315lbs. I was a sloppy fat silly putty mess. And not to mention, a Type1 insulin dependent diabetic. I was basically headed for death. I got myself down to 280, but then I was stuck. Andrew helped me to kick start the weight loss back in gear. TOGETHER we consistently tweaked my meal plan to sucker punch my diabetes and and keep the weight melting off – all while maintaining strength. It was a long road, but Andrew kept me motivated. He cares for you as a person, not as a client. My goals were personalized and not from some manual. I started in a XXL shirt, and now I am between a Large and Medium. I was working in a size 42-44 pant, and now I am down to between a 34-36 inch waist. I have dropped 100lbs, with only 15 more to go to get myself under 200 once again. And, if you know anything about diabetes – I had a Hemoglobin A1C of around 11.5 back in 2011, and now we are at a 7 (and dropping). The lower this number, the lower the risk of heart disease, kidney issues, and any other complications from diabetes, My workouts are long and rigorous, but are able to be maintained while reaping all of the benefits – thanks to the knowledge Andrew has given in regards using my nutrition to maintain energy. I have come a long way, baby. This guy right here was a keystone in this success. 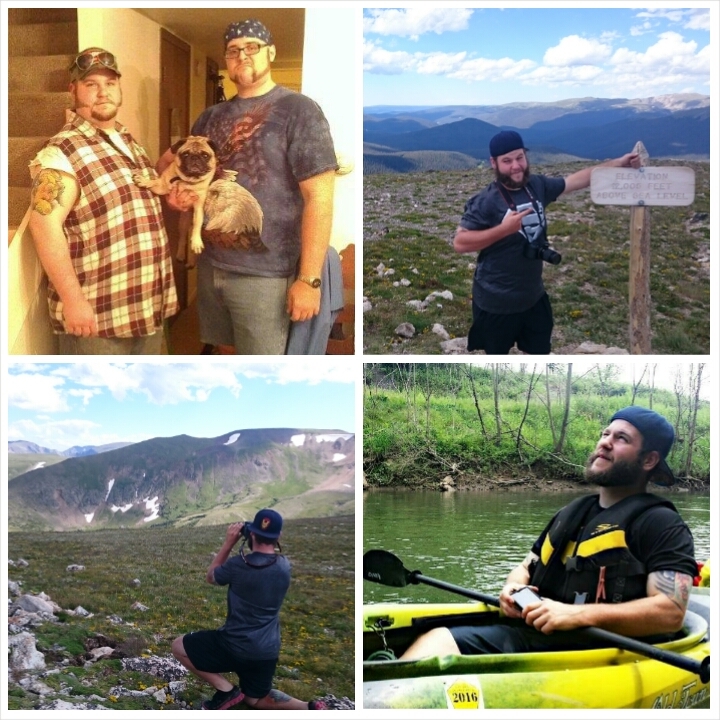 Here is me dressed as a ‘merican on July 4th, 2013 (top left) –compared to myself now (all recent within 30 days). I hope these pics show that I am totally not a big ol’ McFatty anymore. Damn does it feel good to say that!